Pep Guardiola was delighted with his team after they secured victory over VfL Wolfsburg just days after a gruelling UEFA Champions League encounter with Juventus. Pep Guardiola (Bayern head coach): “We knew it would be difficult to play against Wolfsburg just four days after the Juventus game. We started very well, but then we didn't attack with enough conviction. Thiago coming on in the second half helped us, and Franck Ribery was also important, particularly in the one-on-ones. The first goal made it easier for us. Manuel Neuer also pulled off a few very good saves. We made another step today, but it's not over yet. 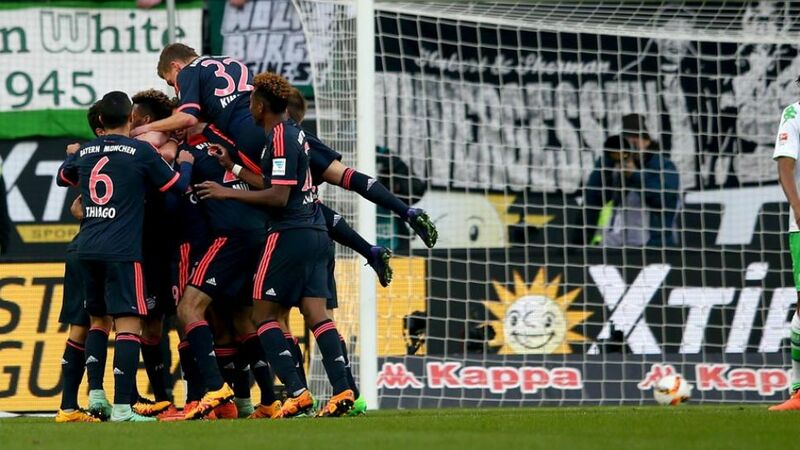 Robert Lewandowski (Bayern striker): “I'm happy that we won and that I scored again. We remained patient throughout the game. Wolfsburg played very defensively, they were waiting for opportunities to counter-attack. We were the better team. After an away game in the Champions League, it's not easy, but we did everything just as we planned. These are three very important points for us. Dieter Hecking (Wolfsburg head coach): “We knew that Bayern would come at us right from the start, but it still took us a while to find our feet in the game. After 15 minutes, we started to compete. Their first goal came from a situation where we shouldn't really be conceding, and once they got the second it was very difficult for us to hit back. Marcel Schäfer (Wolfsburg defender): “It's obviously disappointing. Against FC Bayern, you have to be at your very best. The annoying thing is: we could have won it today. They only had as many chances as we had, but we didn't take ours, and they won the game. We worked very hard when they had possession. They have a lot of quality. You never expect to take control of the game when you're playing one of the best teams in the world.